To many of us, traveling abroad means spending a lot of time in queues at airports. For Indians, this may be set to change with the new smart chip-based passports. Read on to find out more about the smart Indian passport. When traveling abroad, reaching the airport two hours before the scheduled take-off time isn’t enough. Given the uncertainty of how long it might take for immigration to process a passport, most people reach 3-4 hours ahead of time. Once you land at your destination, you must go through immigration again which could take even longer. All of this might soon change. The Indian government is set to launch smart passports designed to reduce time spent in queues at immigration counters. What Is A Smart Passport? 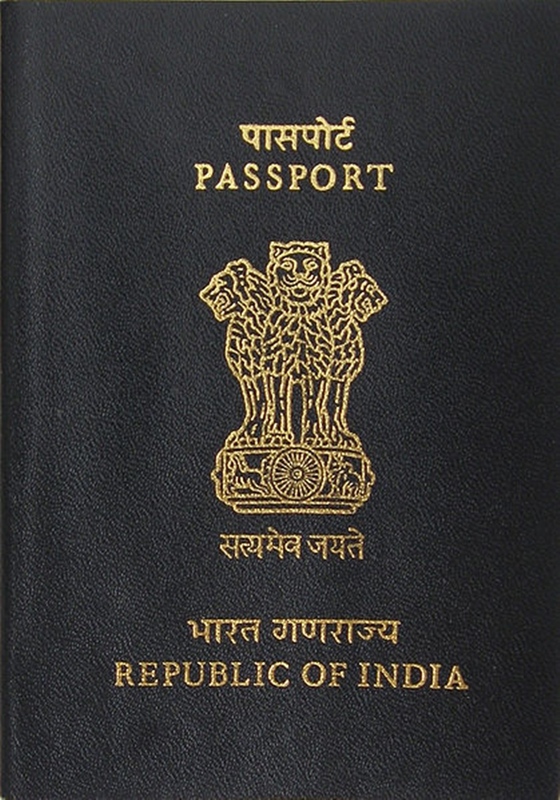 The smart passport or e-passport will look and feel a lot like the current passport held by Indians. However, it will have a thicker cover. A digital chip will be inserted in the back cover. This chip will be smaller than the size of a postage stamp but will have the ability to store up to 64kb of data. This includes the passport holder’s photograph, biometric details such as fingerprints, digital signature, and details of up to 30 visits. It will also have a rectangular antenna embedded in the cover. This antenna will broadcast information for contact-less functions. Given the importance of the personal data stored in the chips in these passports, special safety features have been incorporated to ensure that the data is protected against misuse. One such feature is if the chip were taken out of the passport, the data contained within it, will not be readable. Who’s Designing And Making This Smart Indian Passport? No commercial agency has been involved till now in the design and development of this new passport. An Indian version of the software that will be used to run the e-passport has been developed by the National Informatics Centre and IIT Kanpur. The India Security Press in Nashik has started a tendering and procurement process. Once this process has been completed, they will begin manufacturing and printing the new passports. These passports will also have better paper and ink quality as compared to the current passports in circulation. The International Civil Aviation has not yet designed a way for the information in the passports to be read. However, they have set down norms for how the data in the chip will be written and stored. Who Will Get The New Smart Indian Passports? During the first stage of the e-passport rollout, smart passports will be issued to diplomats and other government officials. Once it has been tested completely, it will then be issued to other Indian nationals. The process of issuing visas to Overseas Citizens of India (OCI) and Persons of Indian Origin (PIO) is also being simplified. India is not the first country to develop smart passports. This type of technology is already in use in European nations like Germany, Sweden, and Poland. These smart passports will save time for travelers at airports. The antenna in the passport will share information with receivers at airports to reduce immigration processing time to a few seconds. This will drastically reduce the amount of time one needs to spend at the airport before and after a flight. Why Some of the World’s Richest Nations have the Weakest Passports?